Are all dance studios in Tampa, Florida the same? Definitely not. We all know the fact. When you decide to take dance classes, you want the best of the best. You want to enroll yourself in a dance studio that everyone talks about. The dance studio is your second home if you are passionate about dancing. Where you are getting training has a lot to do with your dancing skills. An outstanding dance studio will provide the proper instructions and resources for your leaning as well as provide you with a platform to connect with other dancers. The toughest question is: How do you find out a dance studio in Tampa, Florida which is right for you? The easiest solution is to: Read the blog and get to know about 25 top secret tips to choose the best dance studio in Tampa, Florida. Let’s Dive Right Into 30 Irresistible Tips! Are you freaking out for a dance studio? Before finding a dance studio, fix your purpose of dancing. Ask yourself a question: Why you want to dance? Trying to lose weight or just for fun. Instead, there are lots of people who want to join a dance studio for professional training. If you want a serious dance training, then it is useless to join a recreational oriented dance class. At the same time, if you join a difficult dance training, then it will lessen your enjoyment. Like many people, if you want to join dance classes just for losing weight, you have to choose a dance studio in Tampa, Florida who offer such special classes. Before enrolling into a dance class reconsider your choices. It’s great that you decide to join a dance class. Dancing is an artistic expression and unique way to celebrate the human mind and soul. Humans have been dancing to express emotions since the dawn of time. Which dancing style do you love? It is the second most important question when you are searching for a dance studio in Tampa, Florida. 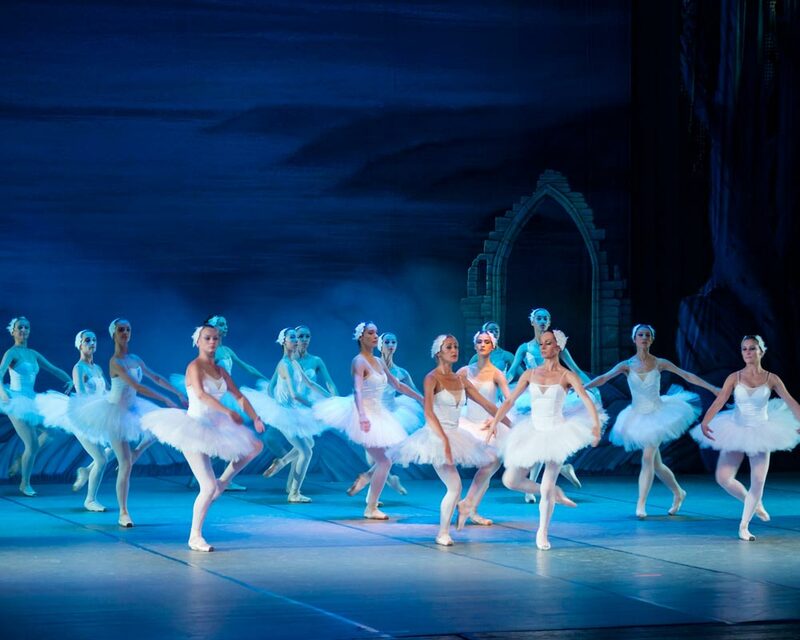 Do you want to flow with the rhythm of classical ballet or want to express yourself on the beats of hip-hop? Each dancing form has its own style. It is hard to tell which dance form is best. As it entirely depends on your taste and preferences. But definitely, if you have a purpose such as losing weight or curing any disease you have to learn the dance style that suits your purpose. Find out what genres the dance studio offers. A good dance studio gives you options, but are no way limited, such as classical ballet, creative movement, jazz, contemporary, modern, tap, world dance, hip-hop, social dance, leaps and turns, and stretch. There are few dance studios in Tampa, Florida that offers special acrobatic dance classes, combo classes for children and adult. These classes primarily focus on the purpose of your dance rather than putting you in a particular dance form. Check out the credentials of the dance studio. Search online or ask your preferred dance studios whether their instructors are certified or not. In the US there are limitless certification courses for dance teachers. Credentials or certified dancing instructors ensure that they do not just know how to dance, but are incredibly well-versed in various teaching techniques. No matter what is your purpose of dancing, a certified teacher will help you to achieve your goals. Excellent dancers are not always a good teacher. True? A teacher with an impressive dance resume may not know how to explain and describe movements, especially for children and beginners. Dance teachers who know how to instruct the students with different body-types, abilities, and learning styles are worth. All students do not have the same potential and pace of learning. A good dancing instructor understands the ability of the student and works on them accordingly. Student’s growth should be the first priority for a good dancing instructor. So, it is mandatory to look up who teaches at the dance studio. You have to take training under them. The easiest way to sense the dancing style, background and personality of the instructor is by following them on YouTube and other social media. Go through their websites thoroughly and find out whether they are the perfect fit for you or not. Experienced dancers can act as a key to finding the best dance studio. Your friend or relative who is dancing for a quite long time have usually attended more than one dance studio in Tampa, Florida. Talk with them about the dance studios they have visited. Do not forget to ask about their personal experience over there. Why they leave the previous dance studios? Or what is so special about the current one? By asking these questions, you come to know about the shortcomings and benefits of dance studios of your locale. Probably they have suggestions for you. Make a list about the shortcomings of the dance studios. Ask them about the qualities you should look in a dance studio. They will definitely tell you who to avoid and where to go. Take the help of your buddies for finding the best dance studio in Tampa, Florida. Take the help of Google smartly! Google has made our life much more comfortable. With few whacks to your keyboard, you have all the information available on your fingertips. Your role is to use Google effectively. Just type the name of a few well-known dance studios of Tampa, Florida and read their reviews. Read what satisfied customers are saying about the dance studios and how it is rated by Google. The next thing to do. Find out whether any complaints were registered against the dance studio for poor customer services, providing faulty dance training, accidental claims, and more. We have the list of complaint forums. Just click the links, type the name of the dance studio and see the results. If you find any complaint registered against the name of the dance studio, just say goodbye to them and move to the next search. Make a decision on how far you are willing to travel. Do you want to be able to walk there? Is driving for 30 minutes going to be okay? Is there a convenient train or bus? Ask the questions and find out the best dance studio in your locale. Usually, if you are working, it is quite tough for you to commute along for the dance classes. In such case, find out a dance studio which is near to your workplace. It will save your time, energy and money which you can input in your dancing. If you work from home or you are a homemaker, then it is excellent if you find a dance studio near your home. Dancing needs lots of energy, so save your energy by choosing a properly located dance studio in Tampa, Florida. Do the dance studio have a demo class facility? It is important to ask this question because many dance studios in Tampa, Florida do not allow visitors. A professional dance studio offer ‘demo classes’ which are specially designed to give future students a feel for exactitude of the instructions. A good dance studio will never give you a nerve-wracking and stiff impression in the first demo class. If the dance instructors are flexible and interactive in the demo class, vote for them. We know that it is hard for you to judge the dance studio by taking a half an hour class. But you can make fruits of it as well.  Do they know how to communicate the dance moves?  Are their intention is only to sell?  Do they call you and ask you to make some moves?  Are they constantly stumbling?  Are they trying to remember their choreography?  Is the session interactive?  Are they busy showing their extraordinary dance caliber or steps?  Do they have more than one choreographer?  Do they have customized instructors?  Do they offer special grooming classes for beginners? If the answers for most of these questions go negative, take our advice and bid them farewell after the demo class. Each one of us has a unique daily schedule. To add a new activity in it is challenging. Look for class timings that suit your schedule. The smart way to choose the best dance studio is by comparing class timings of two or more dance classes in Tampa, Florida. Do the dance studio class timings are flexible? If yes, then it is a golden opportunity for you. Some dance classes in Tampa, Florida keep their class timings open. They arrange the special class timings by keeping the needs of working people in mind. Many people think that bigger classes are suitable for communication and interaction. But the fact is not true for dance classes. If a dance class has fewer students, each will get personalized attention and more space to learn with fun. For the beginners, it is mandatory to enroll into a small-sized classroom as it is easy to learn the concepts and follow the instructions. There are few dance studios in Tampa, Florida that keeps their class size between 8-12 students. It allows instructors to make sure that no fundamental concepts are being missed. Eventually, in a smaller classroom, you get proper guidance, and there is less chance of developing improper techniques. The floor is one of the most important attributes for the dancers. 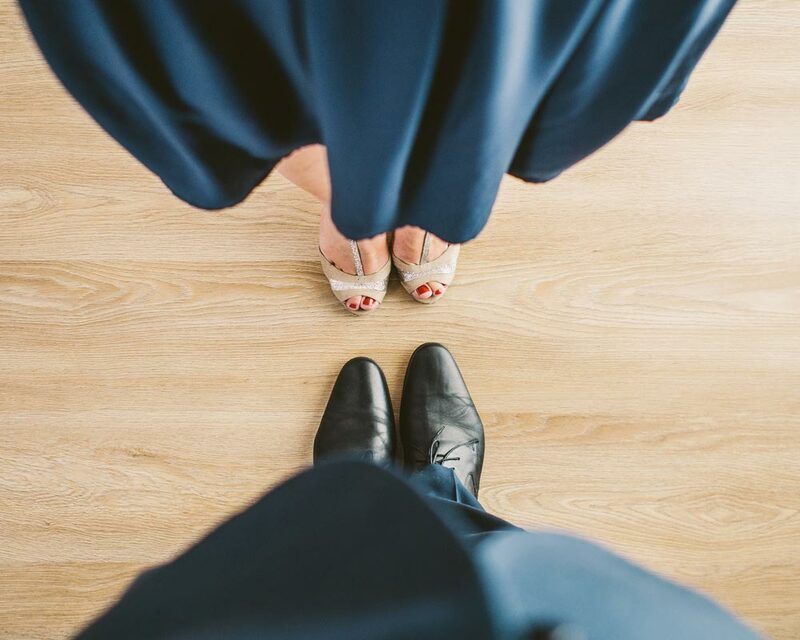 Every step and turn is responded to by the quality of the dance floor underfoot. Unyielding dance floor brings the risk of injury and the prospect of long-term physical damage. Most of the dance studios in Tampa, Florida have tile, linoleum or hardwood floor. They are not good enough for dancing. Peoples who are in dance studio business do not want to invest money on the dance floor as they ignore the comfort and requirement of dancers. The best way to avoid potential injury is by choosing a dance studio with a professional “floating floor”. A floating floor is designed to captivate the shock of jumping and helps to reduce fatigue. There are also “roll-down floors”, which have a limited degree of resilience. But it does not provide the full bounciness essential for safe dancing. How much space do you need to dance? Ample space, right? But the amount of floor area required for dancing depends on a few things: student strength, the age of participants and style of dance. If you have more participants, then you will need more space. It’s known. Young children need lots of space to practice and run freely in the dance studio. Where adults are more organized and need lesser space. Now it comes to the genre of the dance. Different genres usually require varying amounts of space. Use the rule of thumb: “three square meters for each child and five square meters for adults”. You find dance studios in a variety of shapes such as ovals, and circular and with curving walls. But sometimes these spaces impose limitations. Rectangular shaped dance studios are most useful and dynamic. How tall are you? Just for fun. But the height of dance studio matters a lot for proper physical and mental access. The height of the dance studio relates to the circulation of fresh air and to the prospect to jump and lift freely. Plenty of fresh air helps dancers to replenish their energy quickly. Besides this, a high roof is a symbol of high aspiration. With a high ceiling, you can freely express your desires. If you are in love with acrobatics, the height of the studios matters a lot. The height gives an apt sense of spaciousness. Where does my child wait while I am dancing? Or is there any space for visitors to sit and watch? These are some of the common questions come in our mind when we think of joining a dance studio. Proper dance studios have a space of 6-12 square meters within the dance studio. It is an invaluable asset of any dance studio. Why do you need a vestibule? You may say that the dance studio has a perfect dance floor and floor area. But is it enough? It serves as a waiting area for your friends or visitors. There you can keep your personal belongings under supervision. You can change shoes over there. Most importantly, it acts as a separator between the dancing floor and commonplace. So that no one can enter into your dancing area without proper shoes or permission. It is hard for dancers to practice and perform in a hot or chill room. It is essential to have proper ventilation and heating system in a dance studio. The ideal way to maintain inside temperature is air cooling and heating system. 21-24oC is an ideal dance room temperature. Most of the dance studios in Tampa, Florida goes with extractor fans. But they are too noisy and interfere with concentration and communication. Choreographers often switch off the extractor fans in the crucial time as they create unnecessary noises during the performance. Extractor fans are not the only sound producing element in the dance studios. The sound from adjoining spaces also hindered the dance practice or performance. It is essential that the sound will be heard crisply within the studio. But only the sound of music, beats and songs. There is no place for other sounds in a good dance studio. Sound insulation is the prime structural consideration for any dance studio. There are few dance studios in Tampa, Florida who have cavity walls that make the studio soundproof. Along with this, look for a dance studio which has close fitted inner and outer doors. Partial wall curtaining enhances acoustic as well as aesthetic value. Do the dance studio have proper dance lighting installed? You have to check it. Usually, general lights are florescent tubes which are not adequate for illuminating dance floors. A good dance lighting system should be behind the frosted glass panels that provide soft light and wide coverage. According to the size of the studio, there should be proper lights with two or three switches. So that it can be adjusted dim or bright conferring to the need of the performance. Each dance style needs a unique lighting system. If the dance studio has “one for all” lighting system, say no to them. Proper lighting system reduces the risk of injuries as well. One more important point: Check whether the lighting wires and switches are risk-free and inside the walls. Barre and mirror are the two most important things in the interior design of a dance studio. Not for all but for maximum dance training Barre is necessary. It is best if the dance studios have portable Barre which can be easily replaced or stored when not needed. Sometimes immovable Barres cause a prospect for injuries. It is the turn of the mirrors. A complete wall of mirror up to the height of 2200mm is ideal. The complete mirror is required so participants can clearly observe their dance image. And correct the steps and moves. Additional Tip: Look for a proper notice board or display wall in the dance studio. Meticulously notice the elements displayed over there. A professional dance studio in Tampa, Florida will surely display inspirational quotes, past dance performance publicity, different dance poses and more to encourage students. If the dance studio is to be used for a concert, then seating has to be provided. The seating arrangement can vary from 50 to 100 seats. Seating is most recurrently provided on retractable tiers. A good seating arrangement includes aesthetic design and full safety coverage such as fire exit symbol. Make sure that the dance studio does not use the space for public performance. The simple reason behind it is the higher the chances of wear and tear. Most of the dance studios in Tampa, Florida cuts down the performance space for creating seating space. But it is not a good sign of a professional dance studio. Dancers usually habituated by practicing in specific area size and sudden cut in the space lower their performance. Ask the dance studio instructors what their planning for seating arrangement are! You spend at least an hour twice or thrice in a week at the dance studio. So it is obligatory to look for the availability of basic facilities like drinking water, access for a differently abled person, and proper security. It is not always possible to carry a water bottle or sufficient water at the dance studio. Dancing cause exertion and dancers need to intake water frequently to replenish the water loss in the body. A water fountain close at hand is vital. You should feel proud of the dance studio which has special arrangements for differently abled peoples. If your differently abled friend wants to visit your dance studio, it must have provisions ready. Ramp and toilets for a differently abled person is a sign of a good dance studio. How secure you and your belongings are? It is a vital question to be answered. Check whether the dance studio has a proper security system at the gate. Even you cannot ignore the inner security. Lock rooms, CCTV and security, are compulsory for internal security. Every dance studio has their own atmosphere. Sometimes, in spite of having all the necessary items, some dance studios in Tampa, Florida will not go with your taste. So before joining the classes go and feel the vibes of the dance studio. Ask a few questions to yourself and find out how much entertaining the dance studio is for you.  How do you feel in the dance studio?  Do you feel like dancing?  Is the physical setting pleasant?  Do your foot automatically starts tapping when you listen to music there?  Are teachers or instructors welcoming and polite?  Do you hear any screaming sound?  Do present students looked happy and satisfied after the class? Sit back and enjoy the setting of the dance studio, look around at the surroundings and observe the “air” of the studio. Confirm you feel good when you are there. Too much of anything is not good. Nowadays, dance industries have moved toward a highly competitive experience. Nothing wrong in it, if the pressure is balanced and just. Most dance studios in Tampa, Florida focuses more on developing the prospects for local, regional and national competitive events. If they only focus on competition, as a beginner you get less time for learning. A professional dance studio first focuses on the improvement of their students rather than forcing them to learn quickly for competitions. Check out the schedule plan of the dance studio. If there is any point of mandatory participation in dance competitions, ignore them. It is better to compete but harmful if you are not properly prepared. Most of the dance studios in Tampa, Florida do not have a separate faculty for customer services. Instructors have to manage both the classes and customers. It directly affects the training program because lots of time is used by instructors in welcoming and addressing the customers. Who attended you, when you visit the dance studio? If an instructor or teacher, move on. A proper dance studio has special faculties you look at the customer and address their queries. Even, they have a separate faculty who deal with details such as costumes, schedules, teachers’ availability and more. Join a dance studio in Tampa, Florida who have proper administrators so that you can get immediate and proper assistance. Check the floors and carpets of the dance studio. Are they well-maintained and clean? If no, then you have to face lots of trouble after enrollment. An organized registration area, clean bathroom and organized faculty speak a lot about the dance studio. Visit the dance studio and check the physical settings precisely. If you are a beginner to a style, training programs are necessary. It will help you to achieve your dancing goals. You do not have to wonder if you are in the right class. At the time of enrollment, they will offer you a program list that includes all the details of training programs. Exceptional dance studios in Tampa, Florida have additional training programs as well. A lot of dance studios strictly do drop-in classes. But it is better for you if you look for the classes that offer adult or teen programs. It best suits a dancer like you! Are they professional or commercial? Both of them exists in Tampa, FL. Most of the dance studios in Tampa, Florida are commercial in nature. They have large classroom sizes, and the only motto is to earn profits. They overlook the development of students and their dancing skills. Go for a professional dance studio in Tampa, Florida who primarily focus on the overall development of the students and their progress as a dancer. Profit is their secondary intention. They are well equipped with small classes and serious instructors. Prices are the toughest part to decide. It is the saddest part if you have to sacrifice a good dance studio for a few bucks. So here we are to help you. The average costs of dance classes vary. A simple trick to gauge a reasonable dance studio is by comparing the prices of other studios in the same area. For example, if a dance studio charge you $10 for beginner classes and another ask for $50, then definitely go with $10. But the price comes to $10 and $12, go for the quality instruction and years of experience. We know you do not mind to spend $2 more for better facilities and faculties. Never settle just by looking price, because a poor experience is not a bargain, it is a waste of your precious time and hard-earned money. Dancing camps – do they excite you? If yes, then go for one. Today, many dance studios in Tampa, Florida organize dancing summer camps for all age groups. You can live your childhood there. It enforces interaction with other dancers. Communication always gives you valuable ideas. In a dancing camp, you get a platform to share your expressions, views and opinions. Dancing is always exciting, but it becomes even more exciting when you do it in groups. Woah! You have selected the dance studio in Tampa, Florida for enrolling. The next step is the final calling. Take out your phone, dial the number and ask them when you can visit them for enrollment. Ask them: what are the documents they need at the time of enrollment so that you do not have to run for the documents. You are set to dance! Go to the best dance studio in Tampa, Florida and enroll yourself. Things to keep in mind: There are so many dance studios in Tampa, Florida that can become your second home. Make sure to keep your necessities and wants in mind when choosing which one to give your business to! Is the blog informative? If so, please let us know. It is a dream of many people to dance. Share the blog with others and help them in finding the best dance studio in Tampa, Florida. If you have any suggestions, let us know in the comment section below.